he spine is made of bones referred to as vertebra, which stacks to form the spinal column. 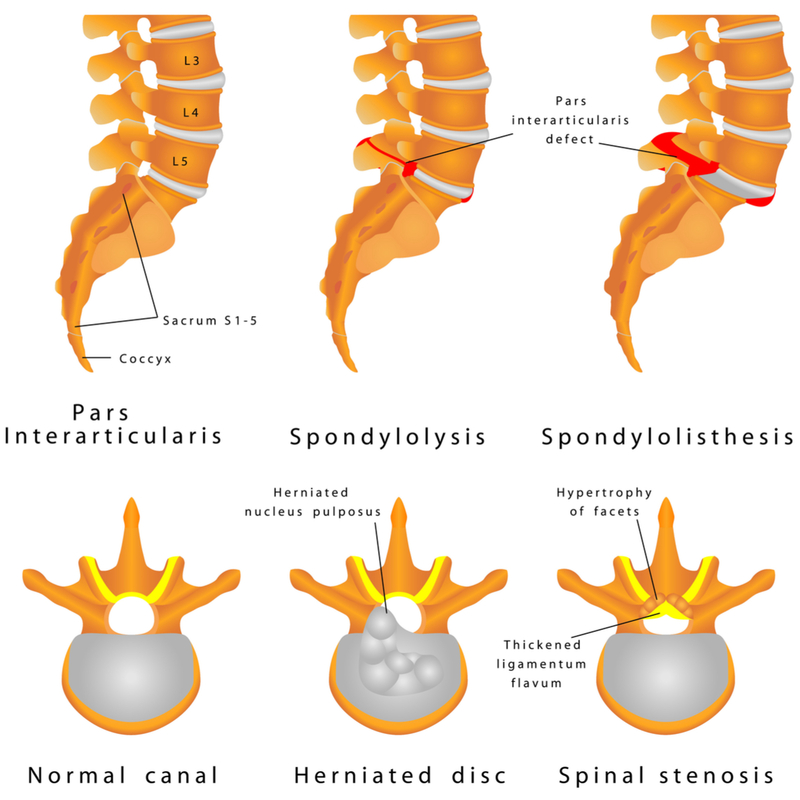 Vertebra attach to each other in two ways – intervertebral discs which connect vertebra in front of the spinal cord and nerves, or the facets connect vertebra behind the spinal cord and nerves. Discs and facets are joints similar to knees and hips and are subject to age-related degenerative arthritis. Arthritic joints usually cause pain when they bear weight. If a disc in the lumbar spine has degenerative arthritis, it becomes more painful when seated or bending forward. Also, if the facet joint is diseased, then standing or bending backward become more uncomfortable. 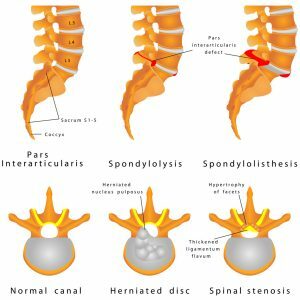 Both conditions can cause back pain, but this subtle and important difference guides what treatment is most effective and appropriate depending on each patient’s case. Patients may experience disc arthritis and facet arthritis simultaneously. In addition, the joint where the spine attaches to the sacroiliac joint or pelvis, which can become degenerated causing sacroiliitis. The top surgeons at North Jersey Spine Group (NJSG) assess each patient’s spine and range of motion to best determine degenerative conditions and create an effective treatment plan. Through image and diagnostic tests such as MRIs or CT scans the team can best determine if a patient’s case is indeed degenerative or if it is a pain-related symptom of a different disorder. The NJSG team includes board-certified neurosurgeons, also spine surgeons, physiatrists, and a dedicated non-surgical team, working collectively to treat each case. Through evaluation and compassion, the award-winning spine team can determine the most viable practice for the best quality of life. The experts of NJSG understand the signs and symptoms of this condition and how it can affect daily life. With multiple office locations spanning Bergen County to Passaic County, including towns of Ridgewood and Hackensack, NJ, patients are welcome to contact North Jersey Spine group today. Arthritic joints usually cause pain when they bear weight.